For over seventy years, the Fargo Moorhead Community Theatre has been a driving force for local theatre arts and as such, has been continuously evolving not only its facilities at The Stage at Island Park but also its fundraising efforts. This year, the FMCT has created a special new fundraising event that hopes to stand out in a field of wine and beer tasting events that has begun to feel a bit crowded, as of late. 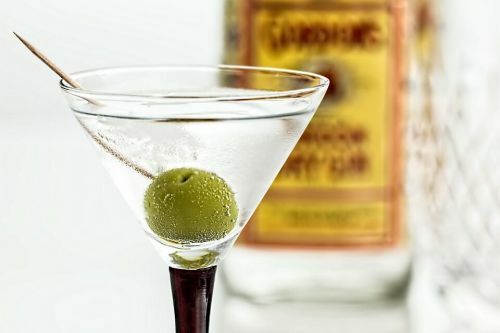 The First Annual “Shaken, Not Stirred” is a martini tasting event that is sponsored by Happy Harry’s Bottle Shops and the proceeds will directly benefit the FMCT and its mission to provide theatrical and educational opportunities to engage and enrich the greater community. While the main focus of the event is fun and fundraising, it is also going to be an incredible opportunity to learn a bit more about this classic cocktail as well as experience some modern twists presented by some of the best mixologists in town. In addition to a traditional recipe of gin, vermouth and an olive garnish, there will be the James Bond Casino Royale version (aka Vesper) and three other takes on this legendary cocktail. If the delicious drinks and special evening get you feeling extra generous, there will be a silent auction to help raise some additional funds beyond the ticket receipts. Some of the incredible and enticing auction items that are already getting a lot of interest are a package of Bison Football tickets that include two tickets to each home game and some Bison gear to wear to the stadium and a special package from Proof Artisan Distillers.